First things first—don’t panic. Treatment for HIV/AIDS is far more advanced than it was even a few years ago. Chances are there are treatment options available to you that will improve your health. That said—treatment paths are different for everyone. The most important thing you can do now is to arm yourself with information that will help you decide the best course of action. You can find more information about our programs and services, including individual case management, counseling and peer suport here. Our Health Library is also a great resource for people looking to understand treatment options, find out information about specific medications, and learn more about conditions related to HIV infection. Whatever you do, don’t avoid taking action. HIV is treatable, and there are many things you can do in addition to accessing medical care to improve your health and wellbeing. 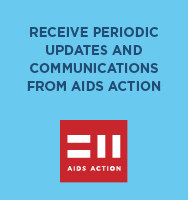 For people living in Massachusetts, AIDS Action is here to help. If you’re visiting our website from someplace else, there are many similar organizations and services available in other locations.